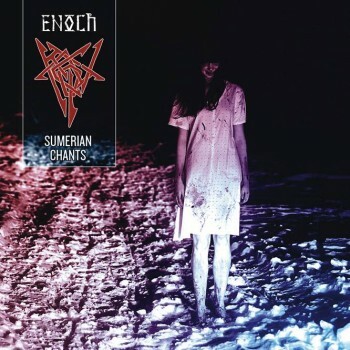 Co-release with Niberu Records (label from Russia) - new album "Sumerian Chants" of italian doom metal band Enoch out on 30 december! SUMERIAN CHANTS is Enoch's last studio work. The 8-tracks is a blend of old-school doom and death metal, with a well-defined sound, thus far from polished and flat-sounding modern productions. Sumerian and Babylonian myths play a fundamental role in Enoch’s music, linking all the songs with oriental melodies, using byzantine scales as something of similar but still different from other oriental melody patterns used by bands as Nile or Orphaned Land. The final result is a constant background feeling of dark ancient landscapes, giving something new and unique. Enoch hails from Italy dating back their roots in 1998 and “Sumerian Chants” is the fourth studio work, following milestones as “Enuma Elish La Nabu Shamu”, “Tetragrammaton” and the EP “The Dreaming City”. All the releases have always been hailed by positive reviews from many ‘zines, leading the band to continue the songwriting keeping a firm hold on the underground, where the band itself was born and want to resist. Lorenzo plays guitar and all vocals. Leonardo plays all keyboards and samples. All other stuff is contribution of the whole band. All music by Enoch. All lyrics by Lorenzo.